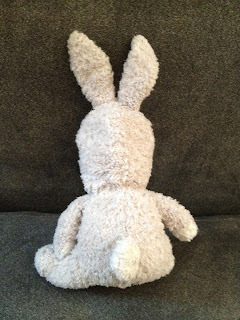 NYC Lovey Repair: Some Bunny's Ready for Halloween! Winnie-the-Pooh came with his friend Walrus last week for some minor repairs. Not only was he soft and cuddly, but he's always all ready for Halloween! 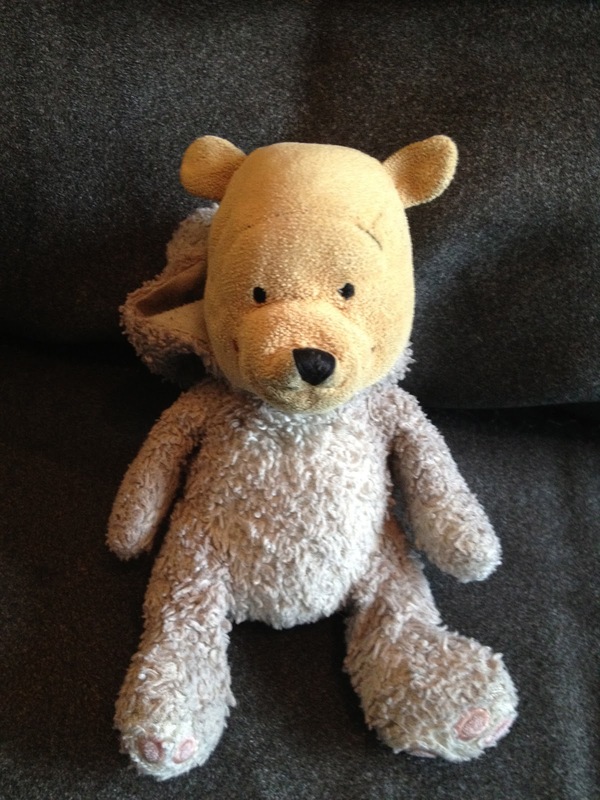 Pooh was purchased in Venice, Italy when his still-a-kiddo Owner was 16 months old. 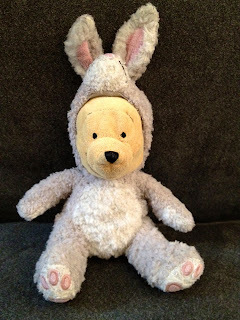 He was labeled, in English: "Pooh dressed in bunny costume." In case one couldn't tell. Pooh can't take a bad picture. 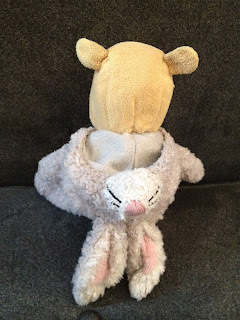 One of the challenges when we wash and restuff a lovey is finding the best, most hidden seam to open - it needs to be big enough to get the fluff out, but small and hidden enough so that our tiny stitches are extra hidden. 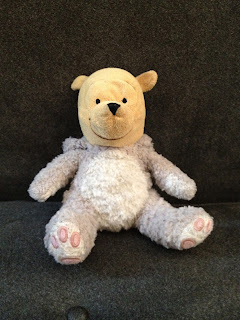 Can you guess where we found the best seam on this Pooh bear? Yep! This was the best, most secret spot! All clean and fluffy!! Show us your best stuff, Pooh-Dressed-in-Bunny-Costume! Because both Pooh and Walrus are actively keeping their little-boy Owners company, and because Hurricane Sandy was coming for a visit, we made extra sure to be done before the rain came. 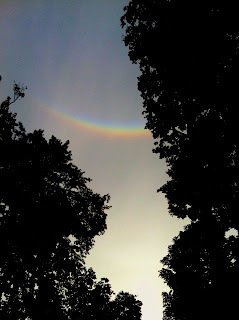 Their Owner's mommy wrote to tell us that on their way over, they saw a rainbow. The little boys thought it was a sign of a happy ending. We agree. Thanks for visiting, Pooh and Walrus - you made our day!